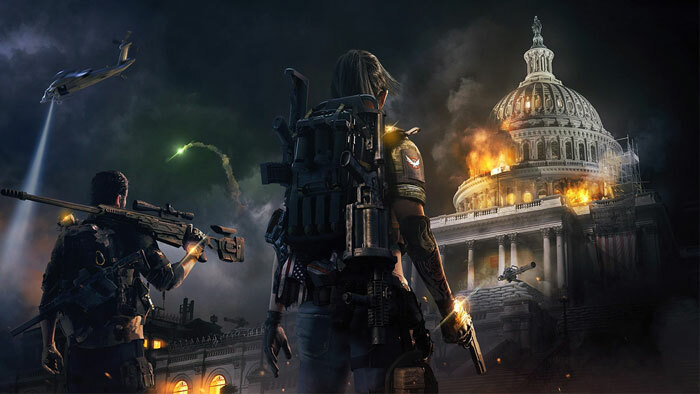 Tom Clancy's The Division 2 is nearly ready for prime time, and to get you ready Ubisoft has shot a volley of new publicity for those who are considering buying the game. The game is generally released tomorrow but Gold Edition purchasers will already be playing thanks to their 3-day early access. For others, it is possible to build anticipation with a selection of video trailers, news releases, and pawing over the recommended PC specs for 1080p, 1440p and 4K. 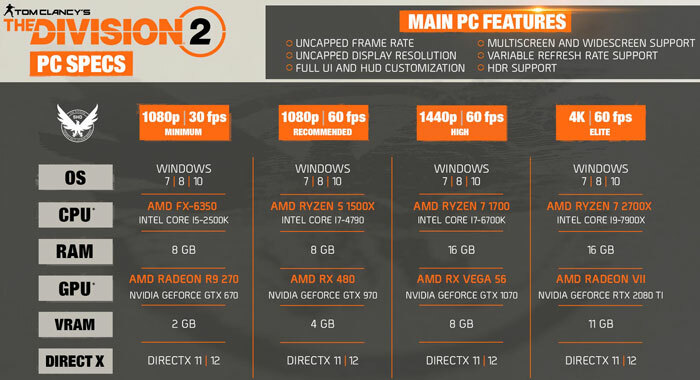 Above you can see The Division 2's exclusive PC features, using the Snowdrop engine, optimised with the help of AMD. In brief, PC features will include; realistic particle details, high res shadows, real-time reflections, real-time destruction, volumetric lighting, dynamic global illumination, optimized multi-core code, async compute code, and DX12 support. Of course, on appropriate hardware you can enjoy tear-free gaming thanks to FreeSync too. Another interesting new video is embedded above, showing 'The Division 2 vs Real Life' with regards to the setting of Washington DC. Above you will see several iconic DC buildings and scenes and Ubisoft's post-pandemic vision of the same. The video includes short interview segments with IP Researcher Cloe Hammoud and Lead Environmental Artist Chad Chatterton. With regard to recommended PC specs, Ubisoft has created an easy to reference specs table with columns for 1080p, 1440p and those that aim to play at 4K. For example, if you have a 1440p monitor and aim to play at 60fps, Ubisoft recommends at least 16GB of RAM, a Ryzen 7 1700 / Core i7-6700K, and 8GB of VRAM, using an RX Vega 56 or GTX 1070 as your graphics card. Tom Clancy's The Division 2 is released tomorrow on PC, Xbox One, and PS4. On the PC you can choose to buy it at either the Ubisoft Store, or via the Epic Games Store. There are a number of editions available.